Make vacuuming a breeze with the eight-pound Speedy Maid! 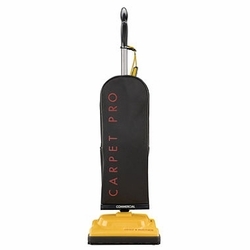 From carpet to hard floors, its powerful motor and self-adjusting brush roll clean effortlessly, whether used upright over large surfaces or reclined flat to clean under furniture. With its extreme maneuverability, ergonomic design and exceptional performance, the Speedy Maid is a must-have for all homes.